In the weeks before the Obama administration announced its housing plan, some members of Congress were lobbying the government to subsidize 4 percent mortgages for homeowners who were current on their loans. While mortgage professionals have not lost hope that low-rate, government-subsidized mortgages could eventually happen, they are advising clients on the fence about refinancing not to wait. 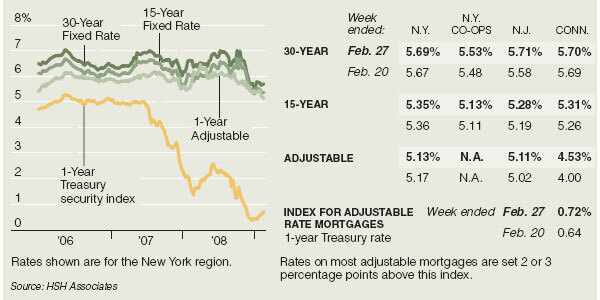 Interest rates remain near historic lows, but at the same time, lending standards have tightened and property values have fallen. If those trends continue, some borrowers may no longer be eligible to refinance. The waiting game is particularly risky for homeowners in areas where property values are dropping sharply, and for those with barely above 20 percent equity in a home — the typical minimum for qualifying for any home loan. These days, home loans are taking longer to review. Lenders are scrutinizing applications more closely, and because of industrywide layoffs, many banks now have fewer loan processors to help vet applicants. Ms. Garlin said it used to take four to six weeks to complete a purchase mortgage, and three to four weeks for a refinance mortgage. Now, she said, a refinance can take as long as six weeks, and a purchase mortgage can take as long as two months. Loans insured by the Federal Housing Administration are an exception, mortgage experts say, because lenders can more easily sell these loans to investors. Nicholas Bratsafolis, the senior managing director of structured refinance at Lend America, a mortgage bank based in Melville, N.Y., says his company can complete an F.H.A. loan in 12 days or less from the time that initial contact is made with a borrower. The loan process is also faster, he said, because his company no longer works with brokers. Reflecting a move toward more conservative business practices, many major lenders have either chosen not to work with brokers, or are working with far fewer brokers than in years past. But Alan Rosenbaum, the chief executive of the GuardHill Financial Corporation in Manhattan, said consumers who go directly to a major lender do not always have the experience described by Mr. Bratsafolis of Lend America.